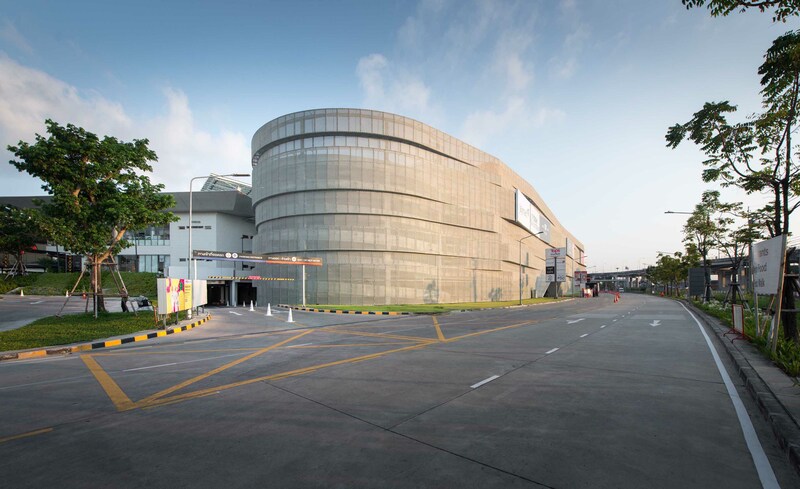 Client : SF Development Co., Ltd.
Site area : 16,000 sqm. 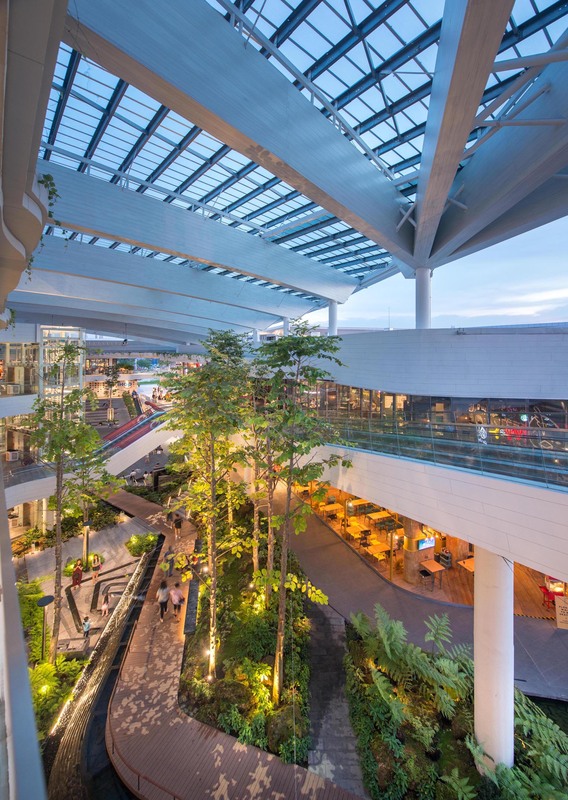 Building area : 58,000 sqm. 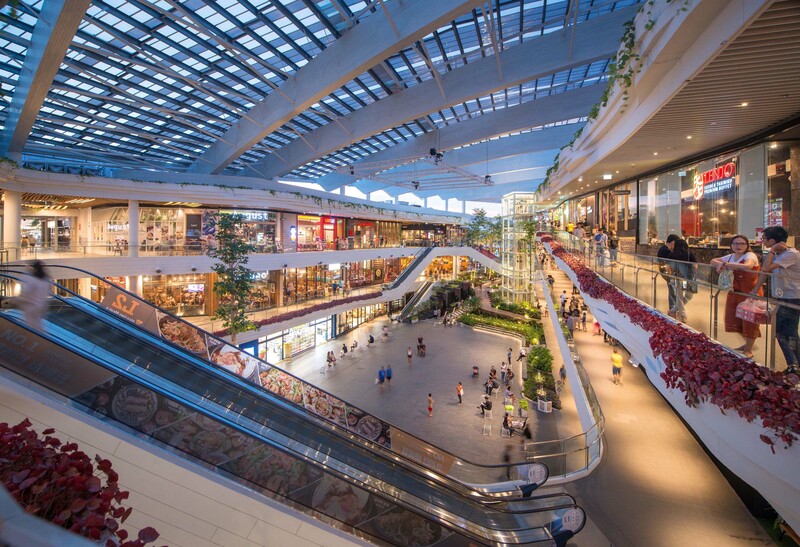 The sheer size of Megabangna shopping complex is as large as a small town. 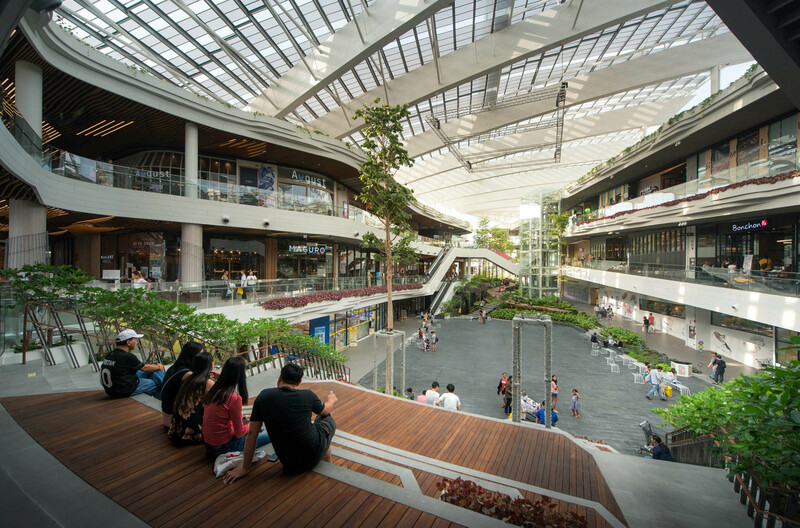 Its central building is perceived as a downtown, whereas Food Walk zone on the east wing is portrayed as countryside with more green area and canals. 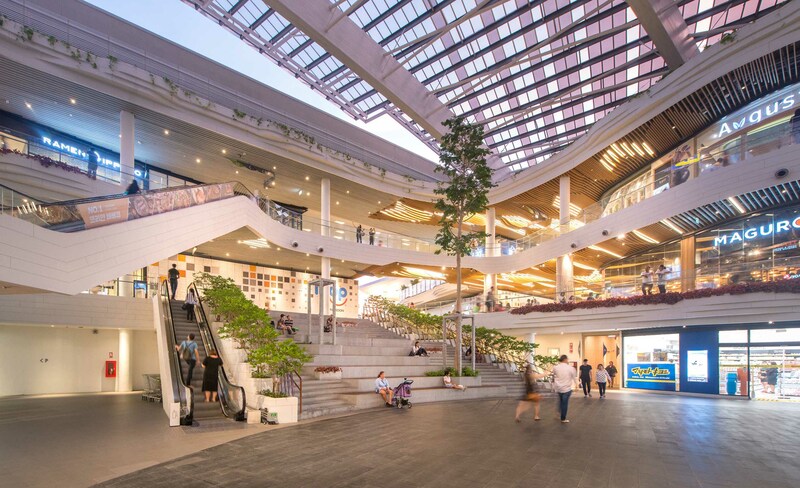 The new extension of retail zone located on the eastern periphery beyond the existing zone could then be conceptualized as a ‘Valley’, one of the most pleasant natural topography in which its intimate central space is enclosed by continuous frontage of lushly mountains. 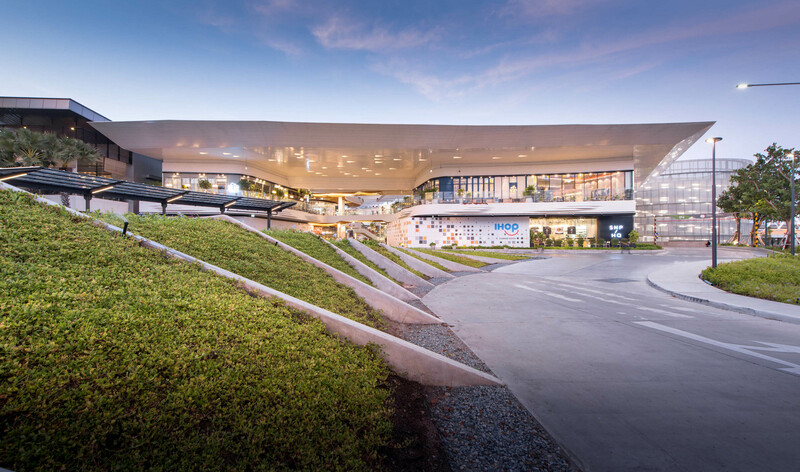 The architectural concept of the new extension, ‘The Valley’, therefore derives from the geographic character of its metaphor. 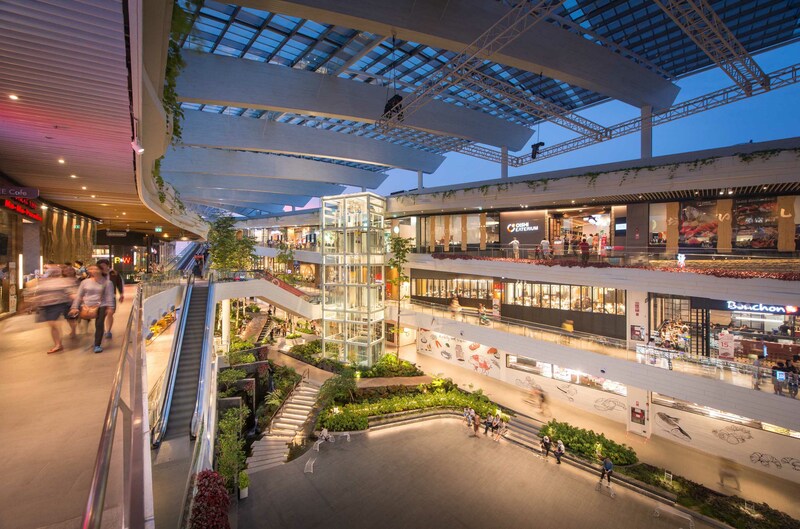 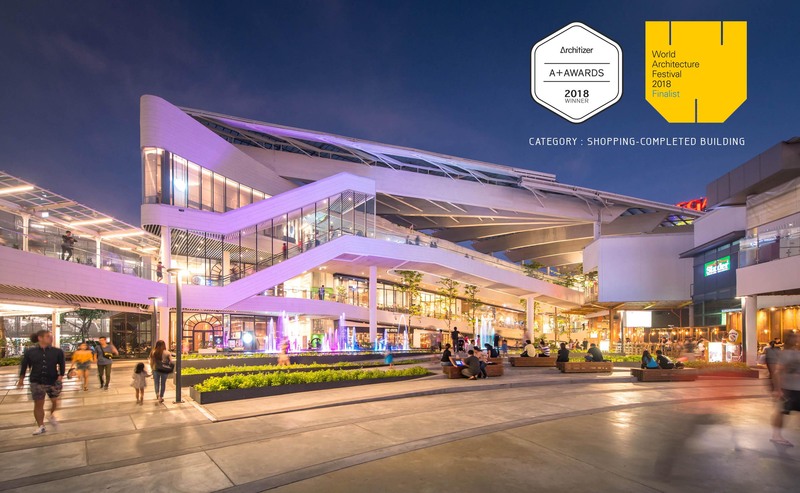 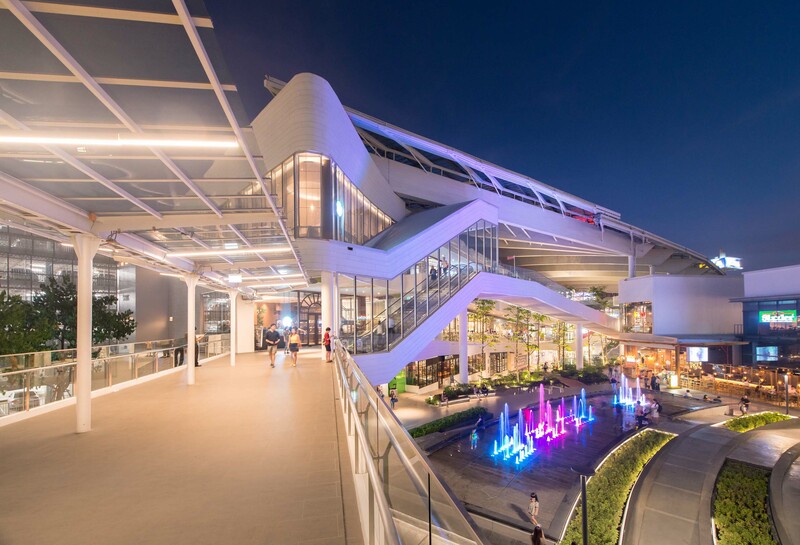 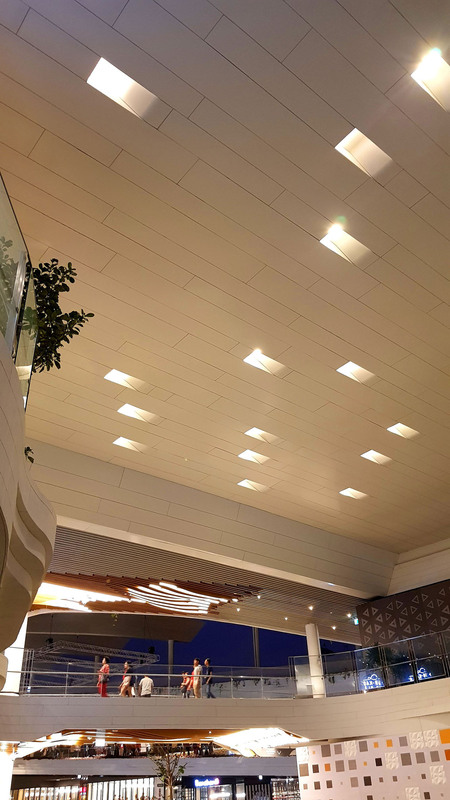 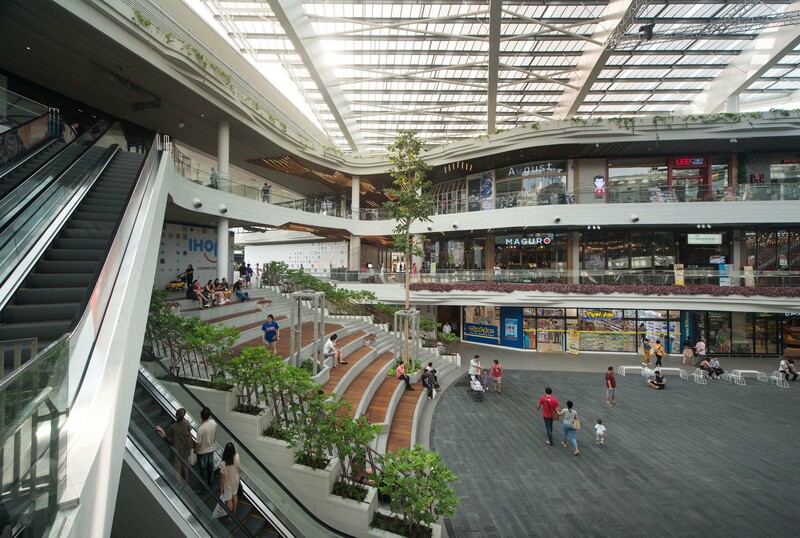 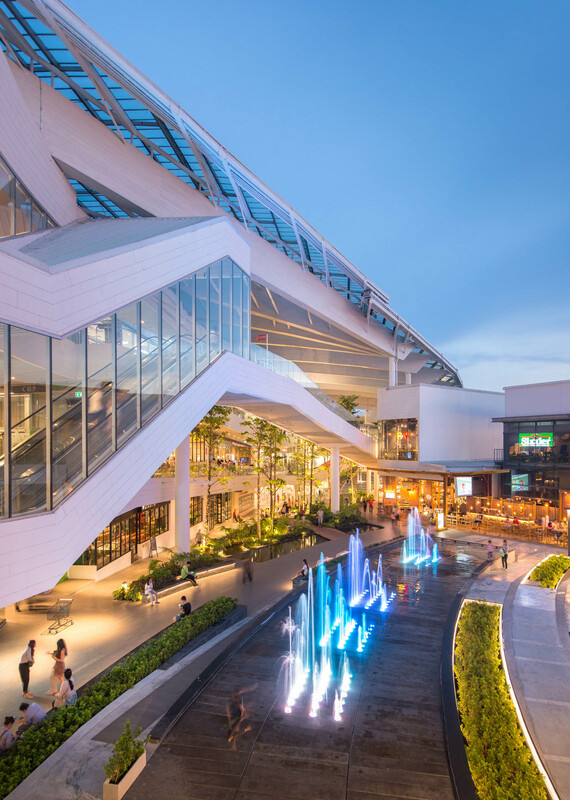 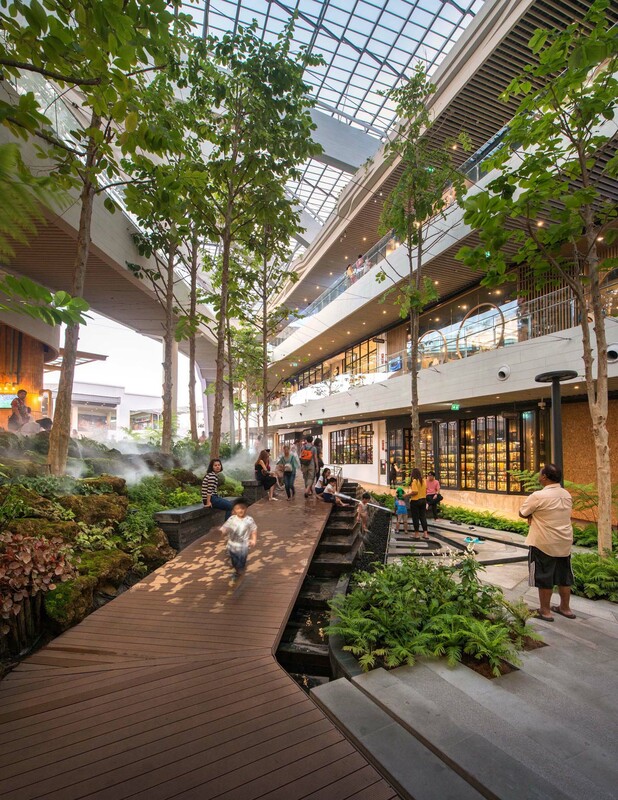 To create similar atmosphere to a natural valley, the layout of the new open-air mall is composed around a central courtyard space, in which a sunken plaza with an amphitheatre down below acts as a customers’ main social space for gathering and holding all kinds of events. 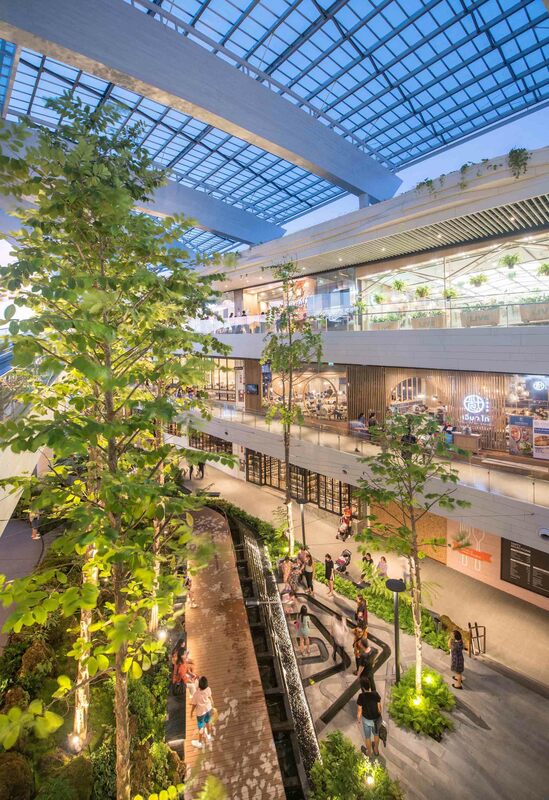 Continuing from the sunken plaza on the bottom level, the sloping green area in the middle of the layout, called ‘the Hill’, gently ascends up to connect smoothly with the existing MEGA Plaza on level 1. 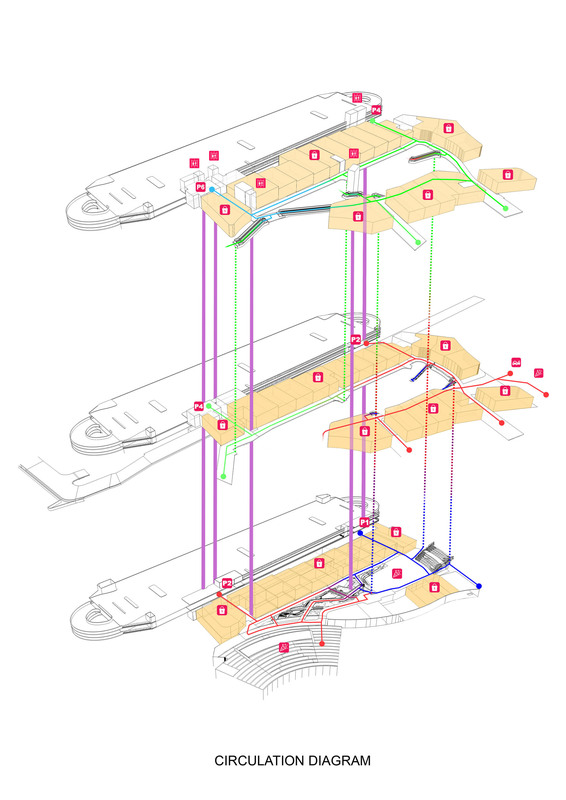 By embedding this particular green area into the heart of the project, it strengthens the realisation of the concept into reality. 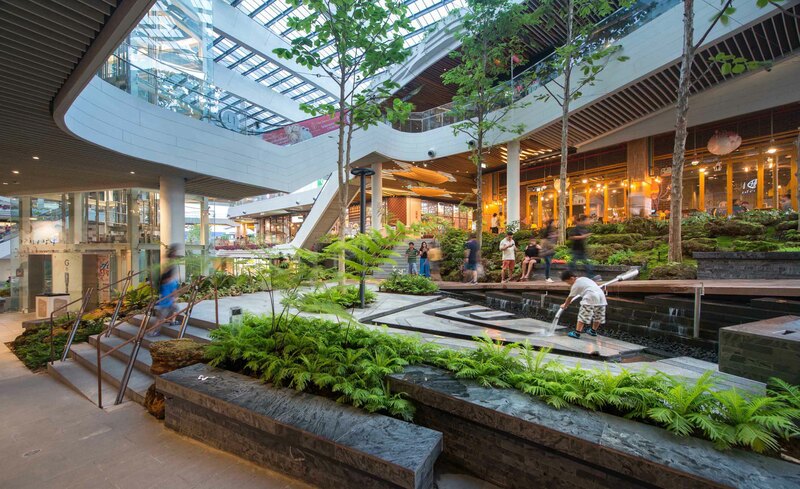 The Hill is intended to be a relaxing ground where people can fully immerse themselves into the lavish landscape with sculptures and temporary, outdoor installation art on show. 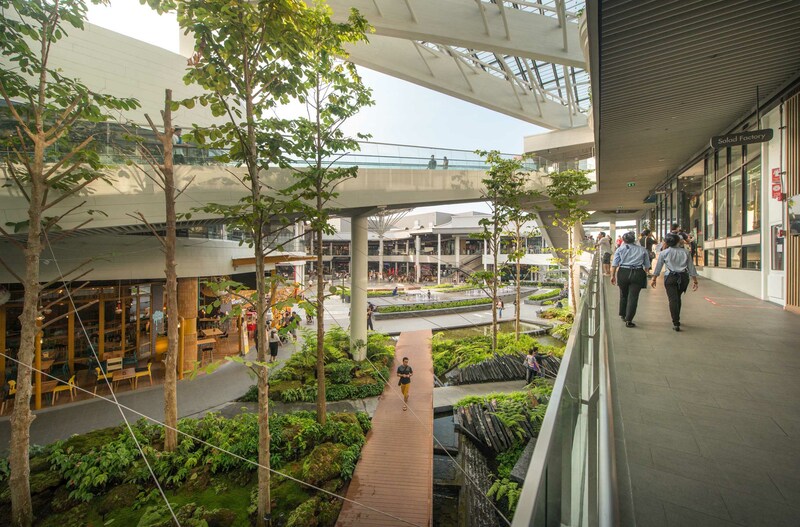 Simultaneously, network of walkways along shopfronts on every level is connected to the existing corridor and also a new car parking building via link bridges and covered walkway in order to complete a seamless circulation system between the two phases without dead end. 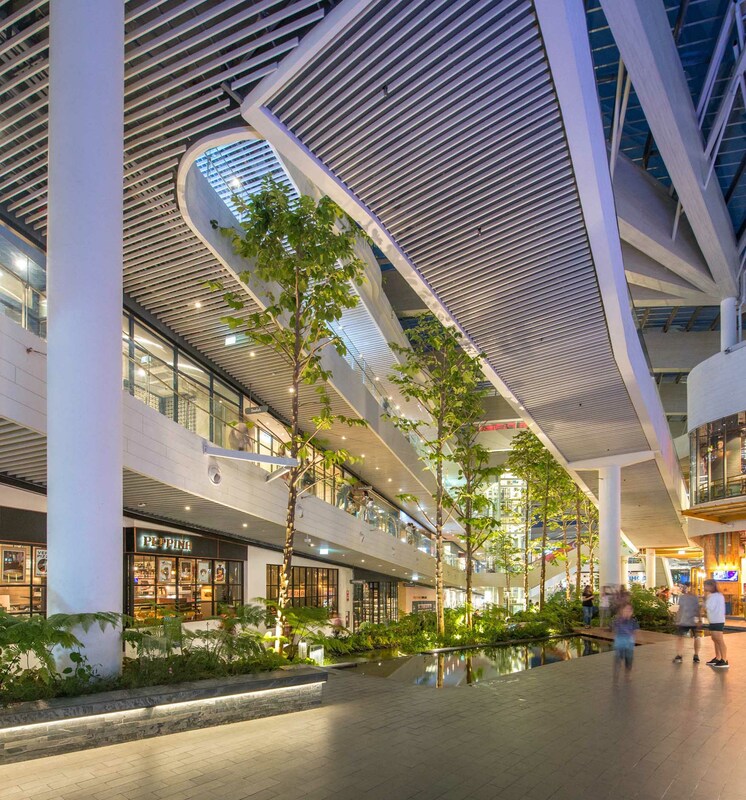 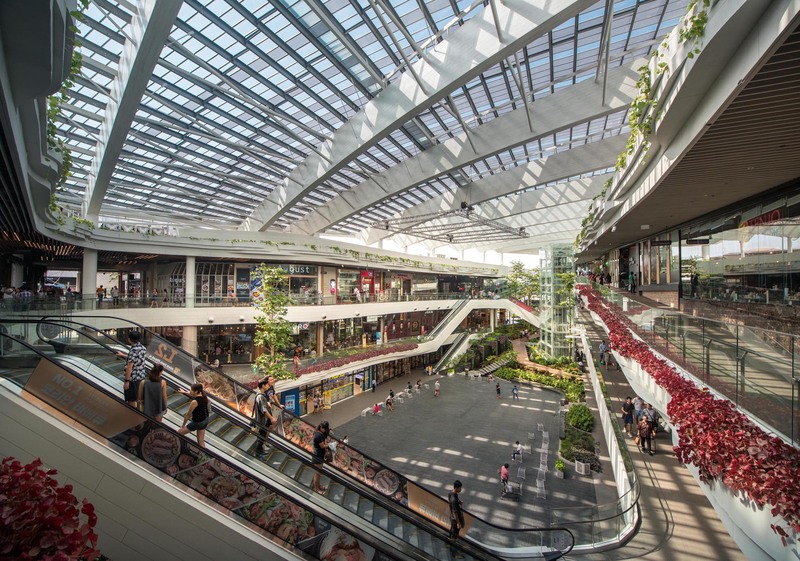 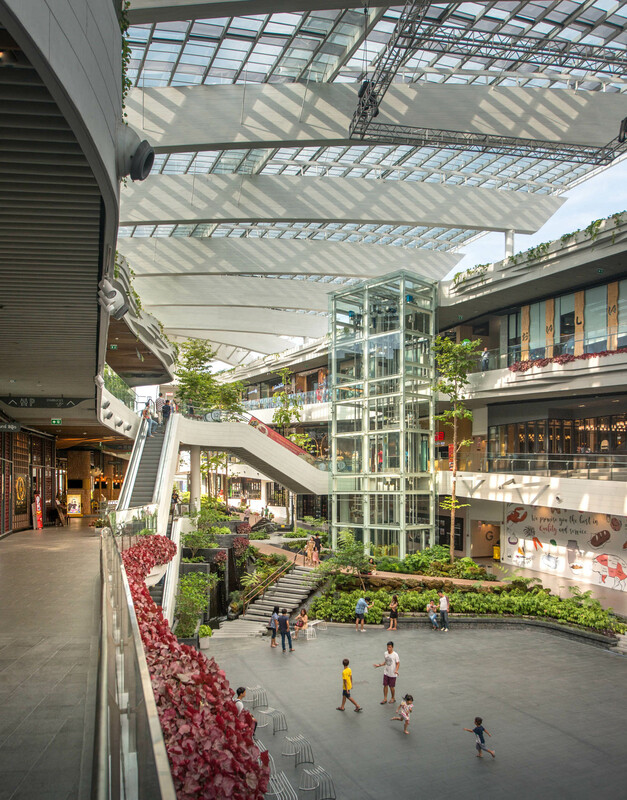 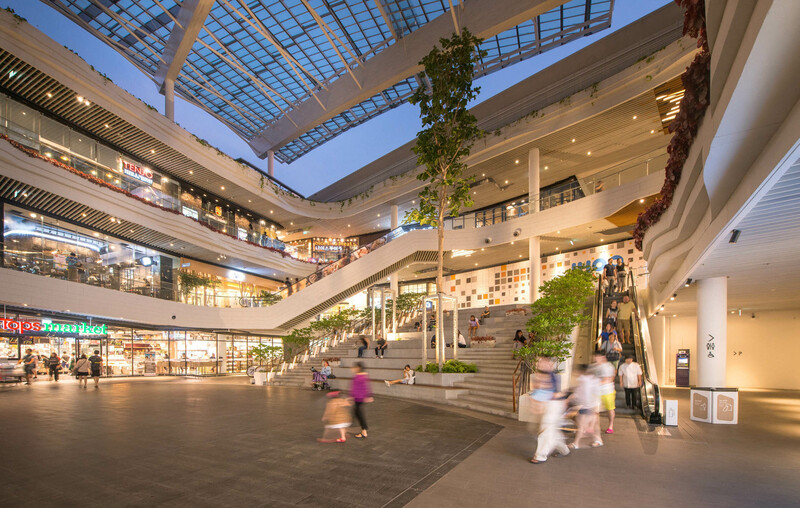 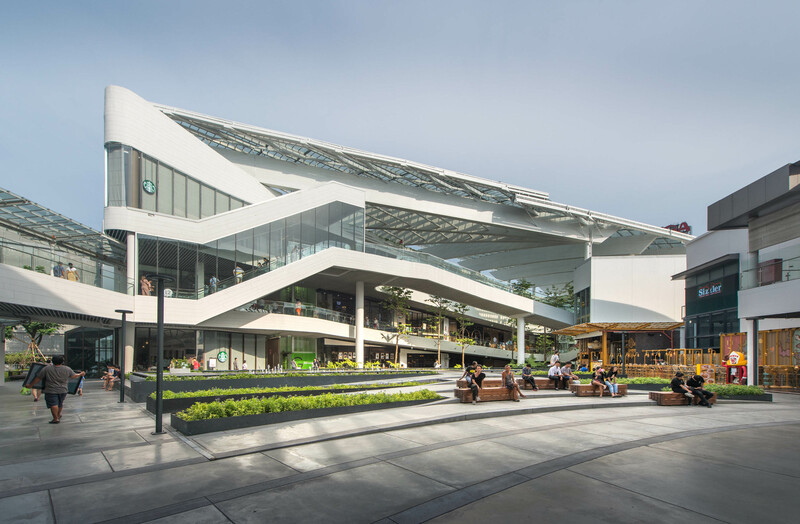 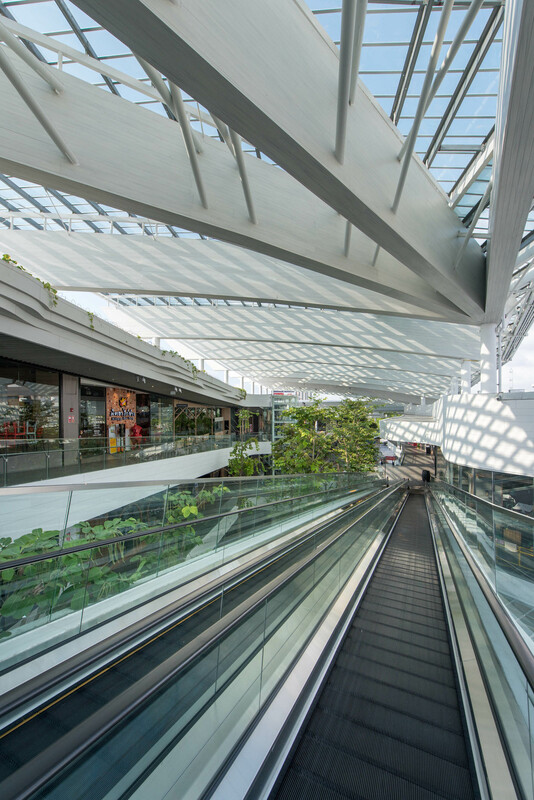 Moreover, the idea of transforming natural environment into a unique shopping experience is synthesized through its spatial organization and various architectural elements. 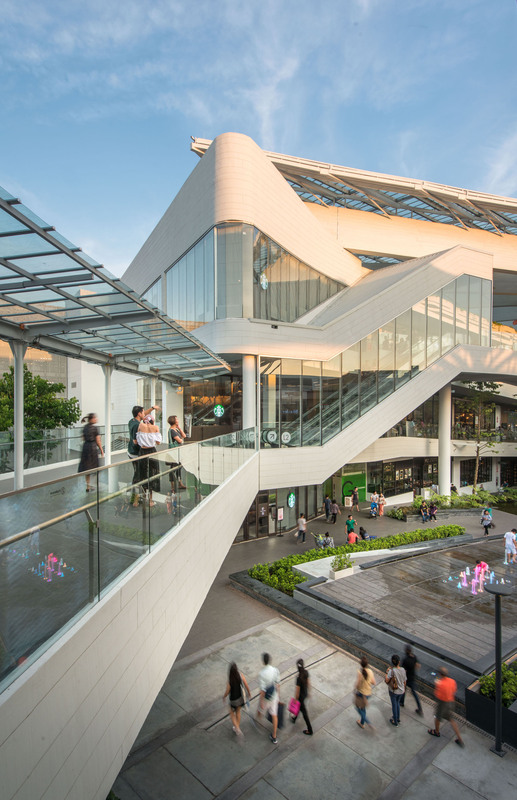 A series of minimum 1:15 sloping walkways are positioned continuously, descending gently down from upper to lower levels, to create a resemblance of ‘hill walk’ experience. 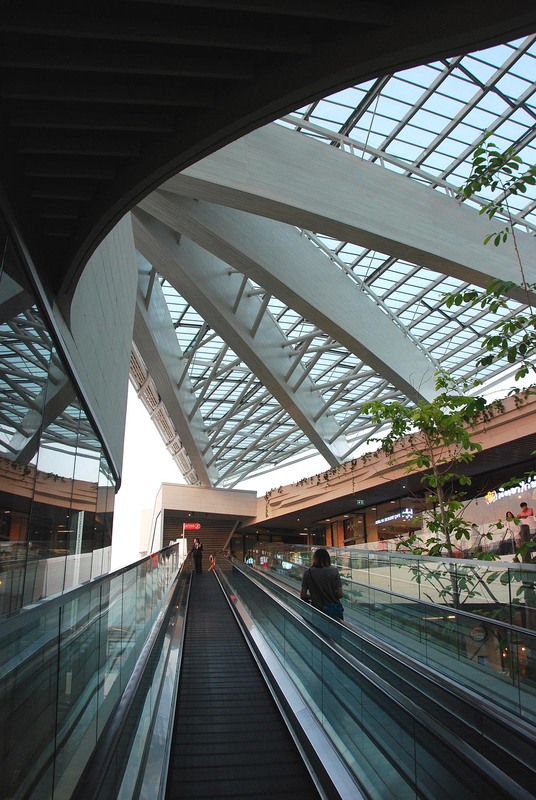 It effectively results in an infinite loop of spiral circulation, circling endlessly on all four levels. 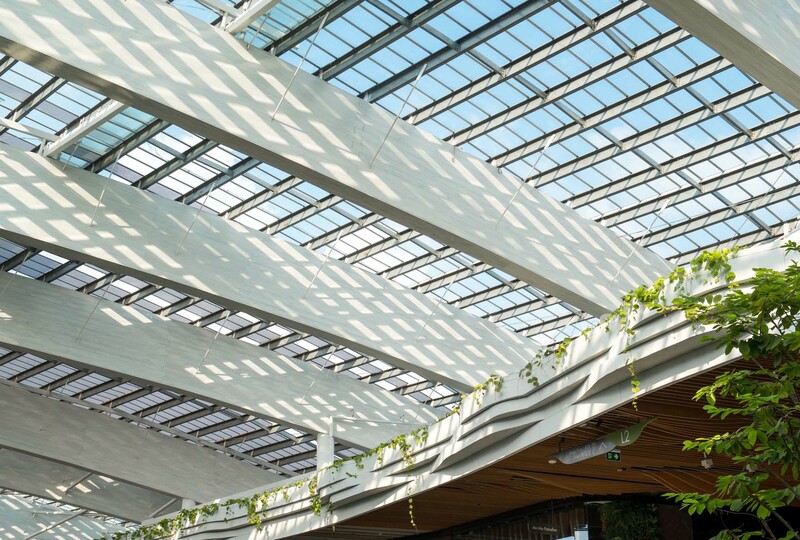 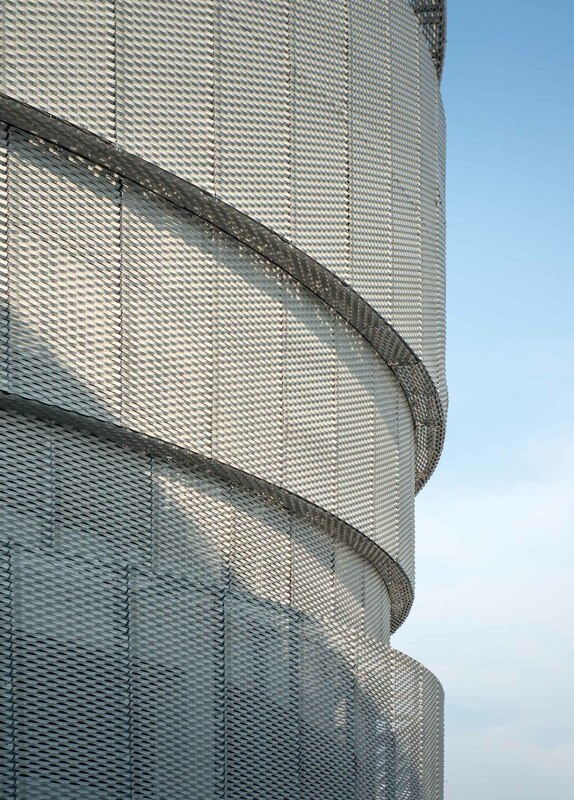 we believe our architecture is not only able to enhance quality of built environment for people to inhabit, but also to inspire whoever works, plays, rests or has any kind of experiences with our architecture.